Keeps me motivated to shred up my dad bod. Never heard of half of these exercises, which is great bc it allows me to try new ways to reduce the beer belly. The exercises increase in intensity and difficulty every other day. You get stronger and adapt quickly. Delivers some of the best HIIT Workouts to help provide weight loss. Granted- I went STRAIGHT for the hardest workout program. (Which is 30+ minutes of ab work, 6 times a week). But this has been the most challenging and rewarding workout I’ve ever done. I’ve been doing this over the past month and a half (took a week break due to a fever), and I’m happy to say that sticking to this- (and a STRICT Keto diet I’ve been on) has made me drop 10 pounds and over 6 percent body fat!!! Not only that- I’m much stronger now! Excersizes I struggled through in the beginning I now can do efficiently. 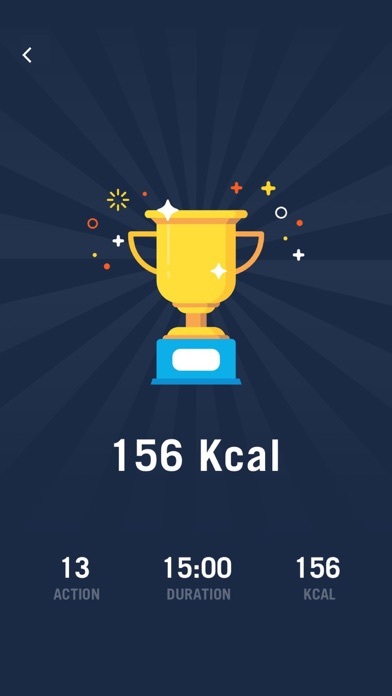 Now I have a new goal to get in GREAT shape- which I never thought was achievable. I’ve come a long way and this app has been a HUGE part of it :) If you stick to the program, and incorporate a diet you’re comfortable with- you WILL see results! *disclaimer- the developers haven’t paid me anything, nor do I work for them. I’m just a DELIGHTED user! Will be looking for more apps from this company in the future! So when I got this app, I started right away. After a month, I looked at myself in the mirror and wow, I had a four-pack. I was so surprised that I kept doing the app twice a day. 2 months past and I looked in the mirror again and guest what... I had a 6 pack! My parents were so surprised that I ACTUALLY have musicales (especially since I am the kind of kid that is not into athletic activities)! So this is why this app is 5 stars. It is a great app! Great app for an organized workout. Leaves no time to stand around and wait while you think of the next work out you’re gonna do. Muchas felicitaciones, su app es de gran valor y muy efectiva.la recomiendo. This is my 110 day of the workout. I can’t stop. I love it. Aplicativo simples e que te ajuda a fazer exercícios de abdominais. Conhecemos muitos tipos e na internet é possível conhecer tantos outros. Mas o fato de a cada dia fazerem uma série, ajuda a motivar e diversificar exercícios. Great app. The workouts are solid and paced well. I only have two issues. 1. Why does the 3 second count down go away after a few workouts? 2. I know my body fat or BMI. This one size fits all scale is very old school. My body fat percentage is about 13% and this BMI has me at like 27ish. I should be able to put my known measurements in and track them. My two issues are not even close to a big deal. 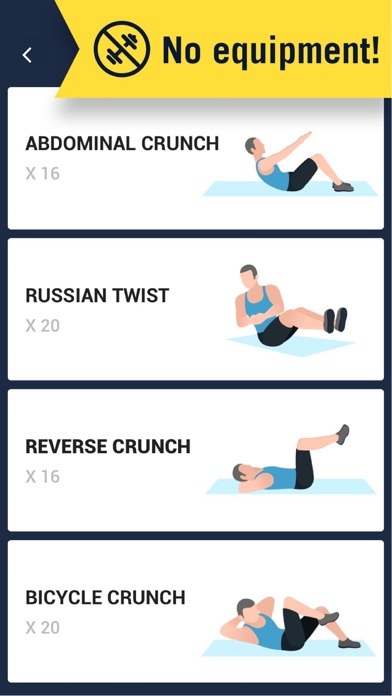 I’ve had this app for months and all the workouts are solid with enough variation to keep your abs guessing. Easy to follow directions and great exercises. I love the simple interface with voice instructions and timer to follow during the exercises. I just put on my wireless earphones and listen to my workout music and the voice instructions for each 30 minute session. The six pack in 30 day plan consists of simple exercises, but I can feel the burn in my abs every session. The only bad thing is the ads—-I’d pay to upgrade to an ad-less version. I am totally not a work out junkie by any means. I loved that this was simple, non judgmental and motivating way to work out. I finished the first 30 days, don’t have great abs, but way more strength and my back doesn’t hurt (which I didn’t know it was even hurting before). It has been so great for my core and now I am working on the second 30 days. Totally not the person to normally write a review, but I felt like this deserves it. Grateful I found it. Instant results. Even too much workouts for a very first workout. 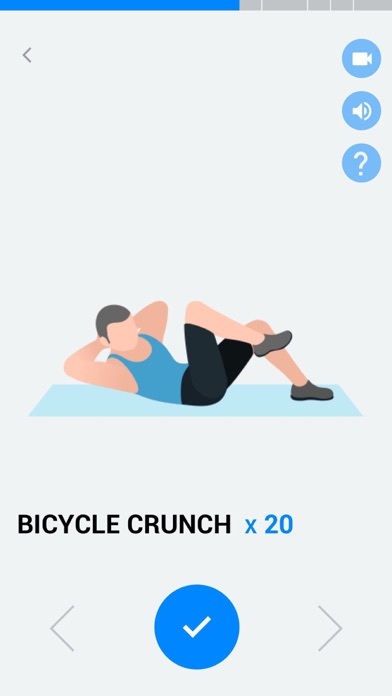 This app was awesome and it really got my friend and I in shape! I was very skeptical at first about using this app because I was thinking there’s no way I can possibly get abs in just one month and i know it’s gonna be different for everyone but I started this app at 146 pounds and since using this app I have lost 7 pounds in less than a month. I didn’t even have to change my diet up that much and I can really see and feel the difference I’m a whole lot more energetic and trust me I don’t usually make reviews but this is something that’s really changed my appearance and I am happy with my results I’m going to keep using this app it’s definitely unisex because I’m a female using this app. 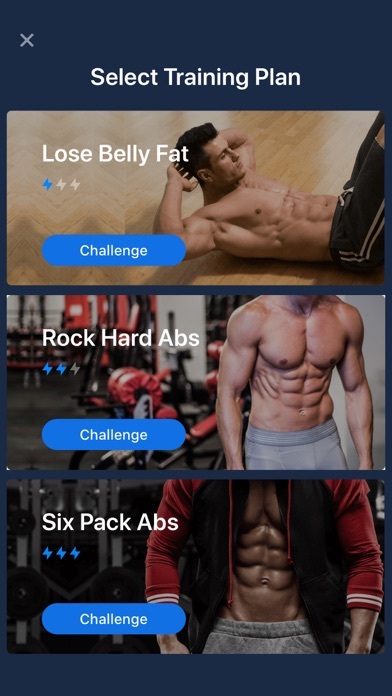 This is a true app that helped me get a six pack, Then again if you want to get the best workout then. Use weights on most of the exercises you do. I have to say this app has really helped me keep on track with the workout. I’m on Day 23 of the Intermediate workout but I started seeing results since the first week of the beginner one. Highly recommend it. Very Motivating and compatible with my schedule. The training routine is a bit long ,but if you want to lose weight and turn your body into that shape you always wanted then it’s very simple and only a download away.